Up for review today is the Daniel Marshall Black Label. I don’t have much backstory on this cigar as the internet is a bit sparse, but you may know the name Daniel Marshall from the brand’s humidors which enjoy a great reputation around the world, or from the gold leaf wrapped cigar that pops up on social media every now and again. 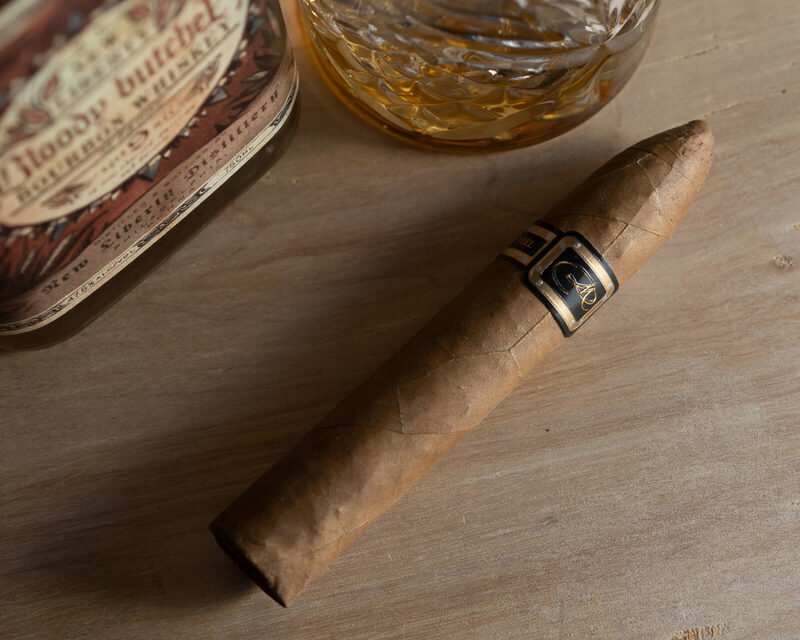 In any case, what I do know is that the Daniel Marshall Black Label is produced at the Quesada factory (a good sign) and features a Connecticut Shade wrapper that’s been aged five years. All that said, let’s get on to the review. The outer Connecticut wrapper on the Daniel Marshall Black Label is quite nice, as is the band that bears the Daniel Marshall signature. It’s a well presented cigar, but not an immaculately presented cigar, which you’d have a right to expect from a company that sells gold leaf wrapped cigars. The main issue is that the black, white, and gold band just doesn’t seem to be very high quality. There’s smudging of the black part of the band over the gold detail in multiple spots, giving the cigar a shoddy look. That aside, it is a well constructed cigar. It is packed pretty tightly, with a little bit of springiness when squeezed, and doesn’t have any soft spots. The draw is good, and the cold draw summons some freshly cut grass, mulch, and wood notes. Off of the foot are more grass and trace pepper aromas. The Daniel Marshall Black Label kicks off quite mild, in both flavor and body. Smoke production is good, and the cigar overall strikes me as a classic Connecticut profile: silky texture, touches of sweet cream, but largely a mix of roasted nuts, cedar, and grass. The retrohale is almost non existent, with faint grass that has a touch of bitterness to it. As I burn past a half inch, a bit of vegetal and white pepper show up, adding some complexity and strength to what otherwise would be an overly straightforward experience. It takes until well past the first inch for the ash to drop, and when it does the burn is razor sharp. Around the same time, the grass/wood focused profile shifts heavily toward sweet roasted nuts, with a zip of pepper that lingers on the tongue. The strength is higher, but still just above mild. I’m really beginning to be impressed by the performance at this point. The Black Label has a lot more complexity than I was expecting. As the Daniel Marshall Black Label burns past the halfway point and into the final third, there’s a bit of bitterness that enters the flavor profile. The freshly cut grass note is dominant, alongside black pepper, old paper, and touches of sweet cream. Even with the bitterness, the texture of the smoke remains insanely smooth. To be honest, I wasn’t expecting much from the Daniel Marshall Black Label. I’m glad to have been proved wrong, particularly by the development of flavors over the course of the cigar. Construction was nearly flawless, smoke production was excellent, and the smoke remained silky smooth throughout. That said, I’m the last ten minutes or so, the balance fell off, with bitterness intruding as it commonly does in the last third of many mild cigars. The only way the Black Label could be improved in my mind would be for it to have a bit more strength to the flavors. 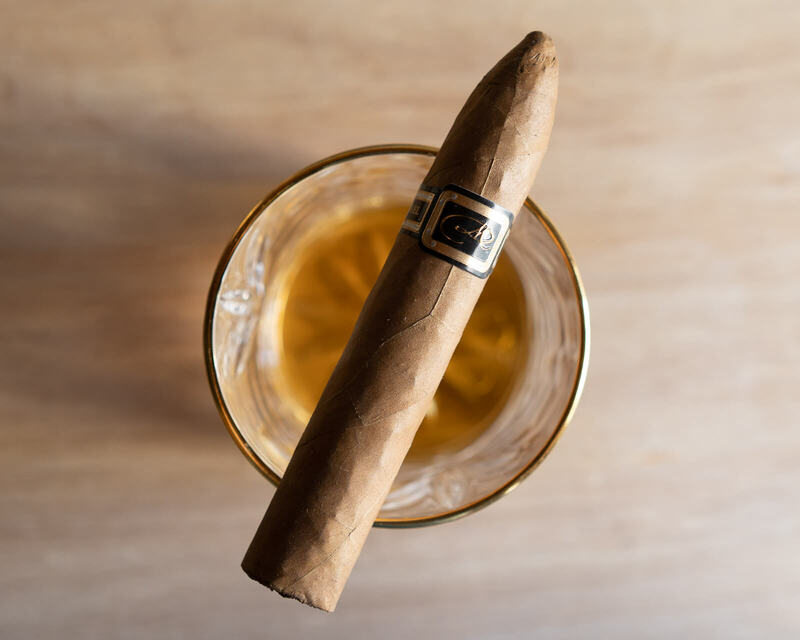 Brands like a Nat Sherman and Moore & Bode each have blends that accomplish this and thus receive higher ratings (Epoca and Adelante, respectively). Lastly, this is absolutely a morning cigar. Don’t smoke the Black Label late in the afternoon or at night. Chances are you won’t taste much of anything after your palate has been so exercised throughout the day. Overall, a very pleasing cigar.